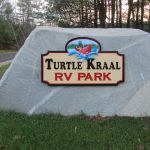 Ask fellow campers about "Turtle Kraal RV Park" and nearby attractions. We stayed here for one week in mid-October and toured the lakes region and White Mountains areas, and viewed beautiful fall leaves. The campground is very spacious and clean. Interior roads and sites were gravel and roads had quite a few potholes, but good access with our large motorhome. For some reason there is no laundry facility, which is not acceptable for such a large and fairly pricey CG. We camped at Turtle Kraal RV Park in a Motorhome. This campground has 50 amp service, water and sewer accommodates big rigs. Two of our local friends recommended Turtle Kraal to us. We were not here to be entertained because "The Lakes Region" has so much to offer. 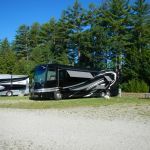 We appreciated, as owners of a campground in PA, the hard work and money that was put into this campground. There are a lot of seasonal campers and park model homes on the perimeter of the campground. They appeared to be neat, orderly, well kept and clean. We toured the campground and saw the pool and games. When walking the dogs, I even got a glimpse of a small cow moose near the boat parking area! We used our own MiFi so we didn't need the wifi in the campground. We camped at Turtle Kraal RV Park in a Motorhome. We dined at Johnson's Seafood & Steak Dairy Bar in New Durham. We also enjoyed the Yum Yum Shop ice cream shop and bakers in Wolfeboro. The Dollar General Store is very close to the entrance of the campground. Dunkin' Donuts and many businesses at traffic circle. Thank you so much! We greatly appreciate your review! This is a large park in a big field with pull-throughs in the middle with good satellite access and back-in sites along the heavily-treed periphery. The price seemed a bit high, but it is in the middle of the Lake Winnipesaukee resort area. The two pages of rules included a prohibition of bird feeders "as they attract wildlife." Late arrivals are not permitted but the check-in hours of 1 to 5p.m. may be flexible. The park was about 50% occupied, way up from our visit a couple of years before. Most of the RVs seemed to be seasonals. WiFi worked well under these conditions. The camp has a pool and a pond and access to a finger of the Lake. Bluegills but nothing bigger were biting on worms. For a fine meal, try Shipley's at the Pier in nearby Alton Bay. Get a window table for a view of the lake and check out the wall photos of lake activities including private planes landing on the frozen lake in the winter. For cyclers, the Cotton Valley Rail Trail is an easy and pleasant ride from its start in Wolfeboro. Knight's Pond conservation area has a small body of water; a path around it from the "picnic area" (no tables; only rocks to sit on) presents challenges: take it clockwise, wear hiking boots, use a walking stick, and watch for the blue blazes. Map available on the Internet. Enter from NH 28 via Rimes Road, not Knight's Pond Road, which is private. We camped at Turtle Kraal RV Park in a Motorhome. First, the pros: this park is very quiet, partly no doubt because it is midweek in September. 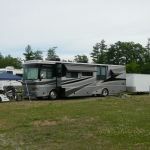 The roads, while dirt/gravel, at least are well maintained, without ruts and holes that we find in so many RV parks. Excellent entryway for big rigs, although signage on the road is minimal, and my GPS routed me wrong. I think their address should be different than it is, in order to get here without turning around. The bath house, although we didn't use it, was spotlessly clean with nice, big showers. Cons: minimal wifi (I'm beginning to think that's normal in New England RV parks?) considering the park is not even 1/3 full. Can't imagine using wifi if it was full! There really is no shade unless you're up against the side. Not sure why so many parks do that - not a tree in sight except on the edges of the big field. It would be nice to have a little shade. We didn't have anybody on either side of us, but if we had, we would have been able to carry on a conversation easily - the spots are very close. Also - no laundry facility at all. I found this odd, since there are obviously lots of seasonal people here. Can't imagine having to throw laundry in the car and drive in town every week to do it. We like that! Overall, yes, would stay here again. We camped at Turtle Kraal RV Park in a Fifth Wheel. t. Seems like it would be a nice thing to have at least a washer and dryer for your people. This is an excellent location for seeing the towns in the Lakes Region of New Hampshire. The Dockside Restaurant was great! Also Shibley's, right on the lake. Kayaking easily done on the lake - public access. Wolfboro is a neat town to visit. We love Meredith also. What a pleasant surprise. A big rig friendly park in the lakes region. Very easy in and out and no trees to bother your sat tv. Quiet and handy to Lake Winnipesaukee and not that far from the seacoast. Site was level and spacious. We camped at Turtle Kraal RV Park in a Motorhome. Thank you for you review and we hope to see you in the 2018 season. We are opening April 28th, weather permitting and closing October 21st. I wish I could give this campground a higher rating, but my vision of a "10" campground is one that gives you a choice of sun or shade, and this one doesn't. In my view, this is a very nice, large, level field with roads and utilities for camping. Trees ring the exterior of the campground where most of the seasonals are located (and I can't blame them for taking those sites), but that didn't help those of us who were stationed in the middle with no respite from the sun. And fortunately, or unfortunately, during our stay we had plenty of sun. It hovered close to 90 most of the days. Yes, I knew when I made the reservation that this was a field with no trees, but the constant heat and air conditioner use made it seem even worse. I must add that it was quiet at night, the utilities were excellent, the bath house was meticulously clean, and the staff we met were friendly and informative. I have to honestly say that if we were in the area again, and it was the spring or fall, we may try Turtle Kraal again, but definitely not in the heat of the summer. p.s. We didn't see any turtles...they must have been hiding from the heat. We camped at Turtle Kraal RV Park in a Travel Trailer. In response to Love to Travel: the park was developed in 2012 from a gravel & sand pit. It was not a field. The grass in the park was planted. The trees on the perimeter are wetlands. We do have short term rental sites in with the seasonal sites. Short term rental sites are not in a separate area. Trees in NH are a natural habitat for bugs: ticks, black flies, deer flies & mosquitoes. It is not pleasant sitting under trees in NH fighting bugs. Trees create debris & sap and are a hazard in a storm. Most of our guests do not want tress near their RVs. The Eastern Painted Turtles are near the river and they love to bask in the sun, on logs. They are easily spotted on a kayak trip. They do travel through the park in late May to lay their eggs in sand piled in our storage area. It is quite the adventure for them! Fall is a lovely time of the year to visit NH. We do hope that you will return! We appreciate your business! Thank you. I recently bought my park model from them it is the best investment the staff is very friendly the grounds are spotless the bath house is spotless. The people are extremely friendly and being pet friendly. You have to love this place. I recommend this park to everyone and can't wait for next season to start. We camped at Turtle Kraal RV Park in a Cabin. We appreciate your review! We take pride in having a clean, quiet, family owned and run park. Our sites are spacious and oversized. It is great that the park is just 1 minute from grocery stores, fuel, banks, post office and restaurants and 2 minutes to Alton Bay! Thanks so much! Campground has added strong Wi-Fi. This newish park still is pretty much 2 open fields for motorhomes, plus sites on the heavily-wooded periphery for others. Satellite dish worked well in the open area. No problem with Verizon. We camped at Turtle Kraal RV Park in a Motorhome. The park has two ponds with beach areas, volleyball nets, kayak rentals, and hiking trails. Nearby Shibleys restaurant on Alton Bay had great views and good food. Available bike trails include the 8 mile Cottonwood Rail Trail. We stayed here for 7 nights. This park is wide open. Large sites. 60 x 40. We were in site 148 and our roof mounted satellite dish worked through a small window in the trees. Quiet, peaceful. Looked like a really nice pool. Lack of rain in the area the entire summer made the roads a little dusty, but not a major problem. Our air leveling on our coach ran for about 5 seconds before we were leveled. The staff is super! We used this park as a base for exploring the Lake Winnipesaukee area. We would definitely stay here again. We camped at Turtle Kraal RV Park in a Motorhome. This park is a Gem waiting to be discovered. Large, level, pull thru sites with 30 and 50 amp service available. Clean. Friendly staff. Nice pool. AT&T service is good as is the free WiFi. We will be returning to this park when in the area. We camped at Turtle Kraal RV Park in a Travel Trailer. Perfect place for Laconia Bike Week! This is a hidden gem. You can tell it is a newer park. All utilities worked well, WIFI was very good. Sites are level. It is a very open area, and the only shade is around the outside of the park. It did give us some shade, but it was mostly open. There are no trees planted in the inner circle of the park so there will not be any shade. It is a very quiet park and has a swimming pool and horseshoes/bag toss area and a pond with a volleyball area next to it We stayed here 2 nights and would stay here again. We camped at Turtle Kraal RV Park in a Fifth Wheel. The Castle in the Clouds is about a 30-40 minute drive away and that was well worth the money ($12 for veteran and each family member). It is the former residence of Thomas Plant who made shoes in the 1920's. Rags to riches to rags story. Very nice waterfall on the property too. Gorgeous views. This was our first stay at this park and we will definitely return. The park is fairly new and all the sites are situated very nicely. They are large and have easy, clear access. 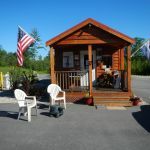 The campground staff was very friendly and helpful and all the utilities worked fine and the Wi-Fi was excellent. 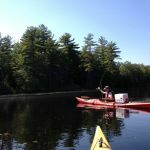 There is kayak access to a nice river and a small pond right on the property. We camped at Turtle Kraal RV Park in a Motorhome. Turtle Kraal is a brand new campground with potential to be something great. This park is big rig friendly with many pull-through sites. The electricity and water was great and the sewer was positioned midway on the site. Overall this is what I call a no frills and very simple park. The only amenity on site was a very nice pool. The bathrooms and showers were very clean. We did find the pond towards the back of the campground but it looked mainly like a fishing pond. Most sites offer little to no shade and all sites are quite large. There are some sites that are on the perimeter of the campground which have woods on the back of the site. Other than that you are in an open field. All interior roads are gravel and easy to maneuver our trailer. We will only return to this campground after a few years once this campground has time to mature some. We camped at Turtle Kraal RV Park in a Travel Trailer. Excellent campground! We camped here for a week with no problems. Staff is very friendly and stopped by while we were setting up to offer to help. They have very simple ground rules that are common everywhere. They even said that our kids could gather firewood if they wanted. Access from the road is very wide and paved and past the gate the roads are flat smooth gravel. Little to no dust kicks up from cars. We have visited other campgrounds in the area and none offer the unobstructed access that Turtle Kraal offers. Plenty of room for my 32' trailer and tons of room left for the kids and dog to play. No trees or unneeded fences to get in the way. This campground is 2 years old. I was both nervous and excited to try a new place. I will camp here whenever I am in the area. There was nothing to be nervous about. We camped at Turtle Kraal RV Park in a Travel Trailer. 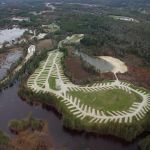 There was a lot of planning done to make this new RV park so friendly and complete. 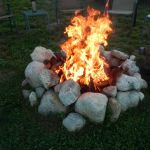 There is a fire pit at your site. Also night security. We camped at Turtle Kraal RV Park in a Motorhome. Are you affiliated with Turtle Kraal RV Park ?